Ask anyone and they’ll say that a basic tee is a closet staple and—most likely—always will be. T-shirts are effortless, seasonless with a seeming sense to just get you. At Printed T-shirts Melbourne, we take your branding seriously. Working out what to for your custom printed tees can be a challenge. 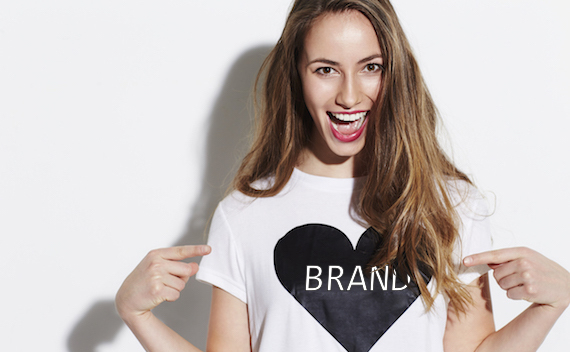 Here are some tips to help you get perfect branded tees. Successful brands are successful due to a strong visual storytelling. Ensure that the message you wish to convey to your target audience is encapsulated in your visuals be it text based or image. At Printed T-shirts Melbourne, we can help you with your branding concept and design. Decide with specifics on what you wish to achieve through your custom company t-shirts e.g. increase number of subscribers or sales by 10% within 6 months. Choose tees that your target audience will likely use for a long time to come so you get more exposure for your advertising dollars. Keep track of your return on investment on your custom printed company tees. This could be as simple as asking prospects how they heard about your company during their inquiry stage. Printed T-shirts Melbourne is ready to put your brand or message on our large range of fantastic t-shirts or apparel: from light tees to suit warm days in the sun, to long sleeve printed t-shirts and hoodies for those chilly Melbourne days. You only need Printed T-shirts Melbourne for all your custom branded t-shirts and apparel. We even deliver complimentary to Melbourne city, Victoria Australia wide. Our custom printed tees will effectively promote your brand's message. Have a message or logo that you are thinking of printing on custom tees? No worries. Simply contact us and we'll get cracking working with you on a concept - our designers will even enhance an artwork complimentary - so you can get the perfect artwork on your very own company branded t-shirts.